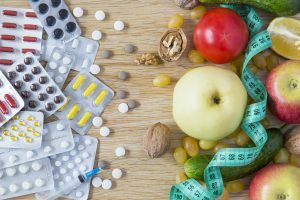 When taking any medication whether it is a prescription or over-the counter there are many opportunities for nutritional depletions. Medications are supposed to be digested in the stomach for best absorption via stomach acid. Any pH abnormalities (such as being too high or too low) could exacerbate the absorption of medications and possibly nutrient absorption. Absorption may be affected through direct action on the intestinal lumen, inhibition of digestive enzymes, or inadequate availability of bile. For example Sulfa and TriMethoprim inhibits an enzyme that converts folate to the active form. Medications that augment intestinal motility affect digestion as they lower the time for absorption, thus limiting bioavailability. One example is how Omeprezole, a stomach lowering medication, blocks the absorption of B12. 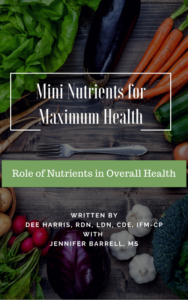 Once nutrient depletions exist the liver metabolism also runs the risk of being negatively impacted as the liver heavily relies upon adequate micronutrients for optimal functioning. Also, medications can affect micronutrient status adjunct to their intended function. Certain medications change the way a body uses the nutrient, while others may increase the body’s need for specific nutrients. Statins are a common example of this as they inhibit the enzyme that is required to make CoQ10 (and cholesterol). Those at highest risk for nutrient depletions from medications include the elderly and those taking multiple medications. Changes that increase the risk for nutrient loss include: increased gastric pH, slower gastric emptying, decreased intestinal motility, decreased absorption in the small intestine, and decreased kidney and liver function. Other groups who may be exceptionally vulnerable include infants, adolescents, and users of alcohol or tobacco. You can test your own risk for nutrient deficiencies by going to www.mytavin.com. Enter in the medications that you are taking using the drop down box and you will see a generated report of deficiencies and consequences. It is important to have a qualified nutritionist review your diet, supplements, medications, labs and genetic needs. We at D-Signed Nutrition specialize in a personalized nutrition and lifestyle plan just for you! Call today and start giving your body exactly what it needs! 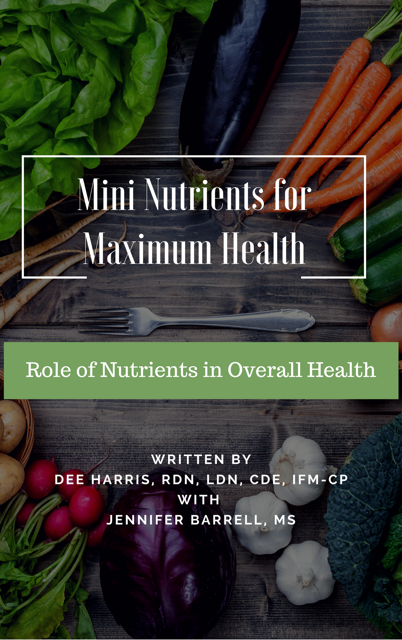 For more information, download our free book on micronutrients. Click here. Abimbola FE. Overview of Pharmacodynamics – clinical pharmacology – Merck manuals professional edition. http://www.merckmanuals.com/professional/clinical-pharmacology/pharmacodynamics/overview-of-pharmacodynamics. Accessed February 12, 2017.